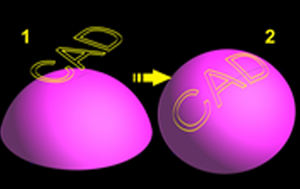 CAD-CAM software provides many design features allowing users to project 3D wireframe geometry down onto solids or surfaces that can be used in CAM programming for a variety of things. While BobCAD-CAM may not be your primary design system, that doesn’t mean you wont use our CAD features to edit and prepare your parts for machining. 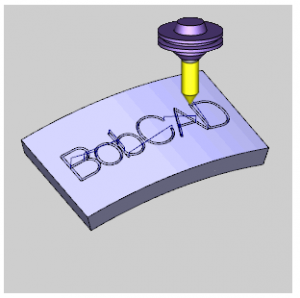 The BobCAD-CAM design environment offers many drawing tools to import, draw and edit wireframe, surfaces and solids. The CAD design Project to Curves drawing feature allows you to project wireframe geometry down onto surfaces. Bending your flat wireframe to the curvature of the surfaces you’ve selected. This feature is typically used for to create engraving or textures of surfaces in conjunction with our CAD-CAM 3 Axis Wireframe toolpath machining features. Download a FREE CAD-CAM software demo to project geometry to 3D surfaces today!